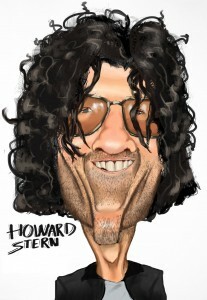 Howard Stern spoke on his show this morning about news reports that SiriusXM wants to sign him to a contract extension. He also acknowledged that he was considering delaying the start time of his program from 6 a.m. to 7 a.m. The radio host has a little under two years remaining on his current deal. Though the famed DJ has always hinted at leaving or retiring at contract time, this time he appears to be simply stating how he feels. Stern has long complained that the early start time for his program forces him to have to go to sleep very early. He has, in recent years, made a case that because his program loops all day anyway there is not reason for him to stick to traditional radio start times. Morning drive is the most lucrative period of the day for regular radio. It’s hard to argue that the 6-10 a.m. traditional time period makes sense in the subscription based satellite model Stern broadcasts in now.